Yes guys, you read that right! 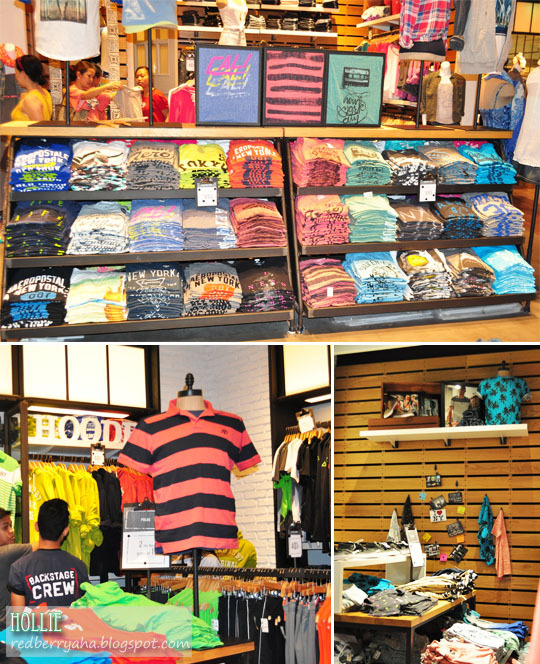 Aeropostale has finally opened it's doors to us Cebuanos. Not familiar? 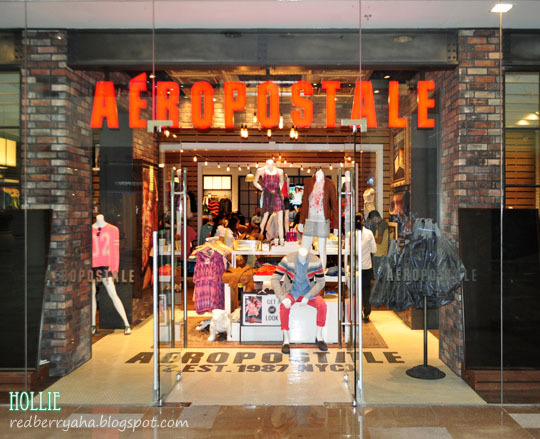 Aéropostale, Inc. is a mall-based, specialty retailer of casual apparel and accessories, principally targeting young women and men through its Aéropostale® stores in US, Canada, Middle East, Asia and Europe. 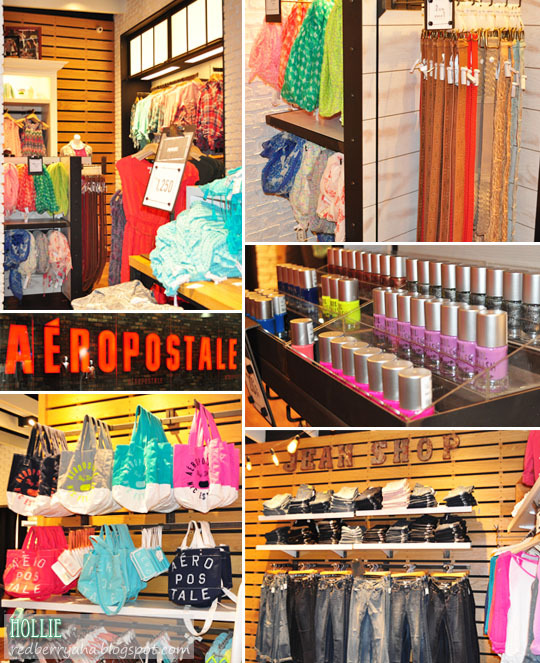 Aeropostale officially opened in Ayala Center Cebu last April 25, 2014 which is located at the New Wing, ground floor near Zara. I was so giddy to get inside the store when I heard about their opening and see what they have to offer. I visited their store last Wednesday, May 7 and saw that they currently have a 40% Off Sale on some of their display racks. Not sure when the sale will end though, so you better check it out fast. The first thing that I instantly noticed was their fashion watches. If you ladies don't know, I have a thing for wrist watches. 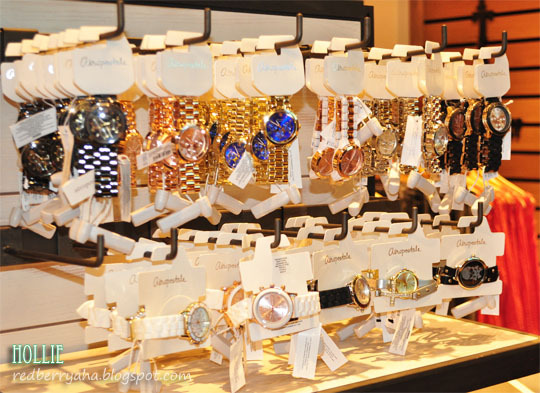 If others love bags or shoes, I prefer to buy watches. They all looked so pretty, chic and sturdy but glad I stopped myself from buying. LOL! It is priced at around Php 1,600 each. 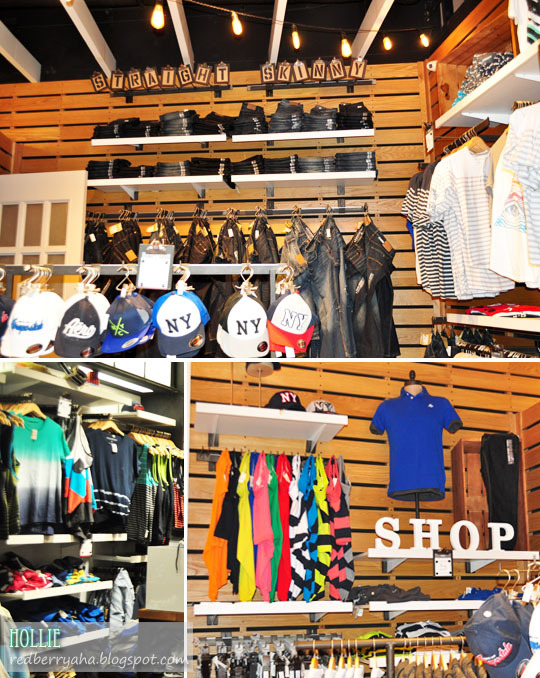 They offer a vast selection of apparel for both men and women. The Hoodie corner in the Men's section caught my eye, because the variety of colors they currently have are vibrant and refreshing. They also carry vibrant polo shirts, which I'm sure some men will love. Among their collection were baseball caps, beach shirts and shorts, a wide variety of jeans and casual tops. I enjoyed seeing their great selection of women's apparel which includes, wallets, flip flops, bags, belts, scarfs, shirts, dresses and ladies jeans. My favorite part of the store was their ladies active wear section. It was color coded and my eyes were gleaming when I saw the mint / aqua collection. They also have an awesome selection of accessories, fragrances, body care and even nail polishes. In addition to that, their changing room was far from boring. It was spacious and lively. If you're curious, most of their merchandise are priced below Php1,000 so, it's quite affordable compared to other foreign brands currently available. Aéropostale PH to get updates for ongoing sales and discounts.